"Trusted by clients and attorneys for over 25 years"
The Shelterworks difference…we are not an average inspection service company. 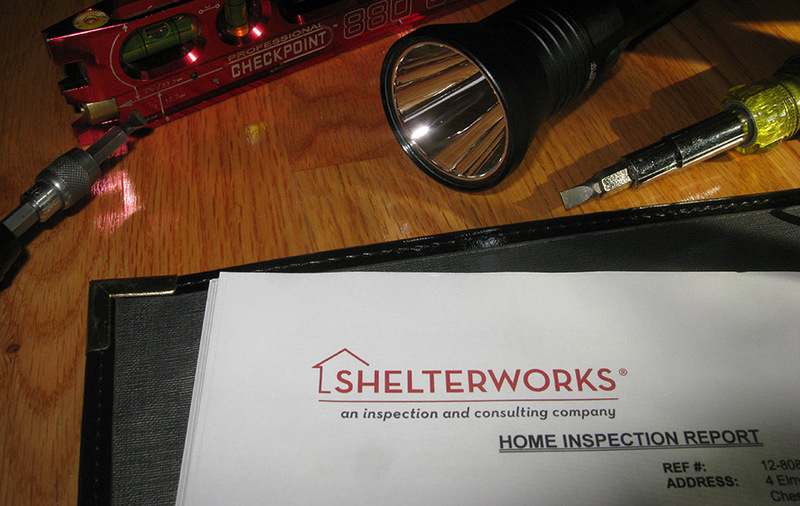 Shelterworks has been a professional inspection company for over 25 years in New Jersey. There is a difference between hiring an inspector with over 35 years of experience and over 12,000 completed inspections and one with limited or no experience. In addition to residential construction experience, we have many years experience in the public sector with state, municipal, residential, and commercial inspections and environmental health inspections. This experience makes us uniquely qualified to perform a building condition evaluation. We promise to earn your trust with our inspection services as we have for thousands of satisfied past clients. Extensive and ongoing training, strict Code of Ethics, and professional standards are the core of our services and philosophy. We look forward to working with you, our clients. We will perform a systematic inspection of the building in strict conformance with the Standards of Practice set forth by N.J.A.C. 13:40-15.16 ( the New Jersey Administrative Code). A radon gas in air screening test includes placement of charcoal canister(s) testing device(s) by a N.J. Licensed Measurement Specialist in the home according to NJDEP and USEPA protocols. Wanted to tell you that I terminated the contract for this house based on the number of fixes / improvements needed there and the termite damage. The credit is yours for doing such a thorough job, and presenting the state of the house like it is. Totally comprehensive report. I am thoroughly impressed! Thank you so much – this report is extremely helpful. Joe Corsetto is THE guy you want inspecting a home you’re purchasing. His passion for educating you about potential issues and regular upkeep is visible. He takes his time (despite any pressure he may be receiving from agents) and is meticulous. No question is too basic and no buyer is discouraged from following him around. He wants to make sure you’re educated about the house you’re buying, which is likely one of the biggest investments you will ever make. All issues, big and small, are noted objectively. He also takes more time to go through a house than most inspectors. If I ever need another inspection, Joe will be my guy and I will sing his praises to anyone who is buying. Nobody wants to purchase a home and then find out all the costly issues later. Joe is the best line of defense against that scenario. Thanks for the thorough inspection reports. Claudia and I greatly appreciate the time you spent evaluating and documenting the property as well as the level of detail in the reports. Our next step is to share this with Anthony and get estimates on each and every one of the recommended repairs. “Thank you very much for your detailed report. We are going over all your observations and studying the details. I’ll be in touch with you for any question. Shelterworks, Inc., a full service home inspection company, was conceived by Joseph Corsetto over 25 years ago. Mr. Corsetto has over 35 years of inspecting experience with thousands of completed inspections in defect recognition. Extensive and ongoing training, strict Code of Ethics, and professional standards are the core of our services and philosophy. We look forward to working with our clients in attendance at inspections and following inspections.